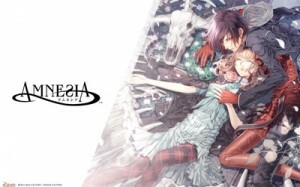 Amnesia, an Otome romance adventure game is getting an anime. Aku no Hana, the dark romantic comedy running in Bessatsu Shonen Magazine is getting an anime directed by Hiroshi Nagahama (Mushishi). An anohana (Ano Hi Mita Hana no Namae wo Bokutachi wa Mada Shiranai) anime film has been announced for Summer 2013. It will apparently retell the story from Menma’s point of view. Litchi Hikari Club (Lychee Light Club) gets a shorts anime for the Fall 2012 season. Taniguchi Goro ( director of Code Geass) is piling up the work with an original anime about/for ‘Cosplayers’ in the works and an original work entitled Fantasista Doll. Yuyushiki, a 4-koma manga running in Manga Time Kirara is getting an anime. Teekyu! 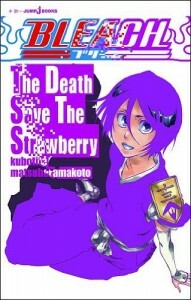 manga gets an anime. Nurarihyon no Mago gets an OVA to be bundled with the 24th volume of the manga out this December. -One Piece, Nisekoi, High Kyuu! !, Pajama na Kanojo and Beelzebub’s sales figures on reflect 3 days worth (they were released on the 3rd). -Gin no Saji surpassed the 500,000 mark this week.